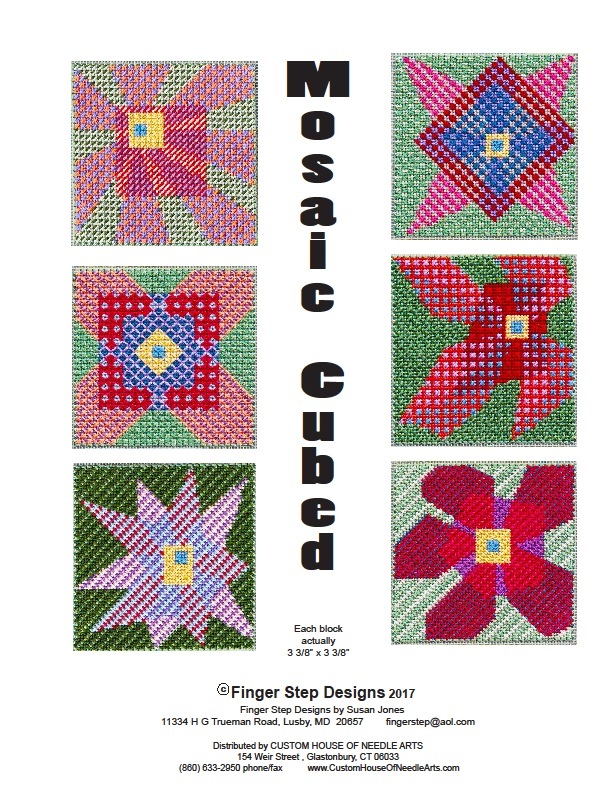 This project of stylized flower blocks uses each of several Mosaic stitch variations. Each block is stitched entirely in one of the variations with different placements of colors. Each block is 60 x 60 stitches.